This accident occurred Wednesday evening August 18th at around 7:40 PM. Warwick firefighters used the Jaws of Life to extricate the driver of the silver Toyota who was then transported by Warwick Ambulance to a landing zone at Kings Elementary School. From there the driver was flown by helicopter to Westchester Medical Center. 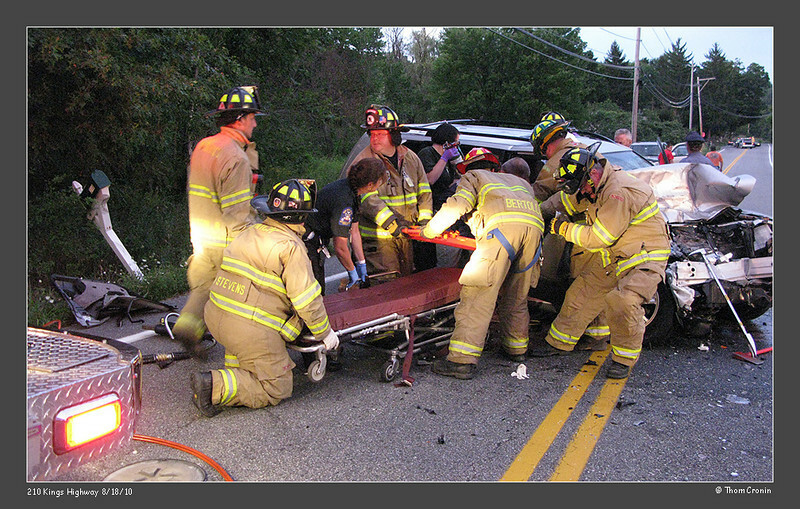 The driver of the red Jeep was transported by Warwick Ambulance to Good Samaritan Hospital in Suffern, NY. Both Drivers sustained life threatening injuries. Kings Highway remained closed to traffic for approximately four hours as Warwick Police and the State Police Accident Reconstruction Team investigated the accident.